Can you imagine a world without waste? You don’t have to imagine it – we’re making it happen, and you can help. The University of California system is committed to going zero waste by 2020, and we’re already diverting 69 percent of our solid waste from landfills systemwide. 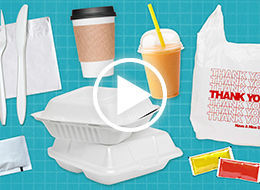 To get all the way to zero waste, we need everyone to pitch in: That means you. To get involved take the #MyLastTrash waste reduction pledge today! There are people alive today that remember a world with no man-made plastics. How do we reverse course? Reducing food waste by only 15% would be enough to feed more than 25 million Americans per year. 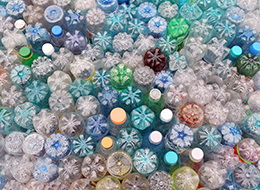 Americans buy 25 billion plastic water bottles annually. Junk mail accounts for more greenhouse gases than 9 million cars every year. If the world’s food waste was a country, it would be the third largest emitter of greenhouse gases. Americans throw away 100 billion plastic bags annually, equivalent to 12 million barrels of oil.